Safe Work Australia Chairman, Mr Tom Phillips AM has launched the 2012 Safe Work Australia Week Safety Ambassador Program. Nominations are also open for the 2012 Safety Ambassador of the Year Award. 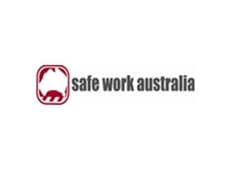 With the national Safe Work Australia Week to be celebrated from 21 to 27 October, Mr Phillips calls upon every workplace in Australia to use the week to make improvements to health and safety in their workplace. Serving as a reminder to prioritise workplace safety all year round, the annual Safe Work Australia Week program encourages all working Australians to focus on improving health and safety in their workplaces to reduce death, injury and disease. The theme of this year’s week, ‘Safety begins with S but starts with You’ reminds Australian workers that anyone can lead safety in their workplace. Throughout October, states and territories will also be raising awareness of work health and safety through their own safe work weeks or months where they will be promoting a range of activities and events to the public. According to Mr Phillips, there are many ways for Australians to get involved in Safe Work Australia Week including becoming Safety Ambassadors at their workplace. He describes a Safety Ambassador as someone with a passion for work health and safety, and who is dedicated to making their workplace safer. He adds that the Safety Ambassador can be a worker at any level from an entry level employee to the CEO, who is willing to lead by example and motivate their workplace to participate in Safe Work Australia Week. In addition to being recognised as leaders in workplace safety, Safety Ambassadors receive access to a range of Safe Work Australia Week resources to help them plan and promote activities in their workplace. They also have the opportunity to enter the Safety Ambassador of the Year Award program that recognises Safety Ambassadors who have demonstrated safety leadership and have made workplace safety a priority not just during Safe Work Australia Week but all year round. Entries for the Award close on 24 September 2012 and the winner will be announced at the end of October.